Breakfast Burrito. Some of my favorite places for breakfast are the long-time Anita’s New Mexico Style Mexican Restaurants. 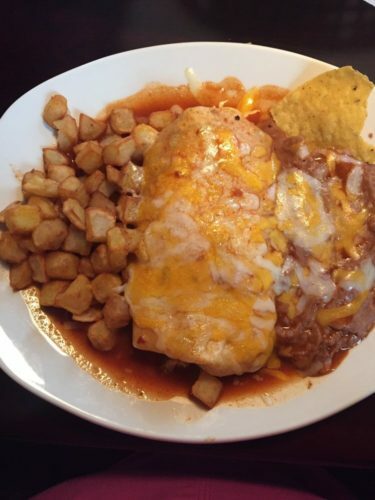 Anita’s is known for the breakfast burritos. 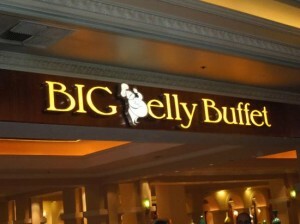 They’re cheap and delicious and filling. My Breakfast Burrito recipe is based on a chorizo burrito that is my favorite breakfast burrito item at Anita’s. 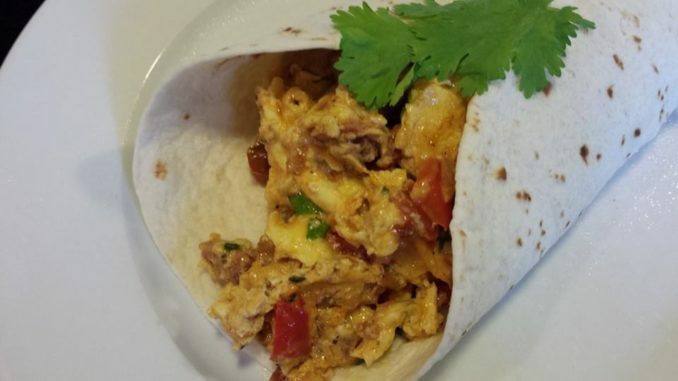 Her breakfast burritos feature scrambled eggs, cheese, potatoes, your choice of meat, and her unique New Mexico Style red chile or green chile sauces. Anita’s restaurant group was actually started by a lady named Anita Tellez. Originally from New Mexico, Anita moved to Virginia when her husband was transferred to Washington, DC.. Anita’s first restaurant opened in a really tiny building in Vienna, VA in 1974. I think there were maybe two tables and a takeout counter. Over the years, Anita’s grew to a chain of a dozen or so restaurants in the Northern Virginia area. 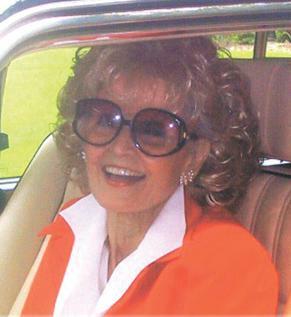 Anita herself was a well-loved fixture in her restaurants, always impeccably dressed with perfectly coiffed blond hair. 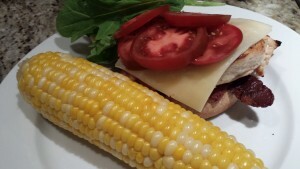 In order to maintain similar taste and quality across all the restaurants, most of Anita’s food is made in a local commissary and shipped out to the restaurants. 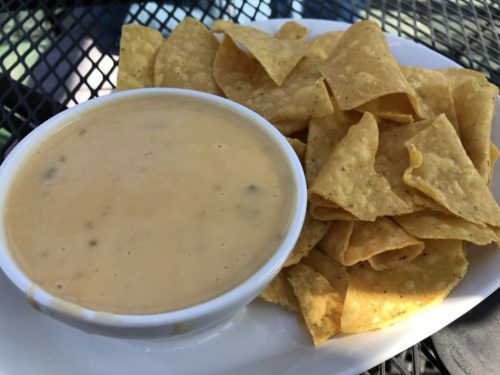 Those refried beans are “to die for.” I’m also a big fan of the chile con queso dip and chips which I used to share with business colleagues at our many lunches there. Sadly, Anita passed away in 2009. Her son, Tom, has taken over management of Anita’s restaurant empire. A few Anita’s locations have closed over the years and the menu has changed slightly. Being a “25 year regular” at one of the Anita’s restaurants near me, I can still order my favorite “Tacos Vera Cruz” for lunch which are no longer on the menu. I don’t get to eat at Anita’s much anymore so it’s a real treat for me to make my own version of her breakfast burritos at home. I haven’t yet figured out the recipe for the shredded beef filling in the Tacos Vera Cruz or I’d be making them at home, too. Breakfast burritos are a favorite at my house for weekend breakfasts. My husband loves chorizo and that’s his usual choice for the meat for his burrito. For just the right amount of flavor in this recipe, I like to use D’Artagnan chorizo sausage which has a spicier taste. How to make my Breakfast Burrito? 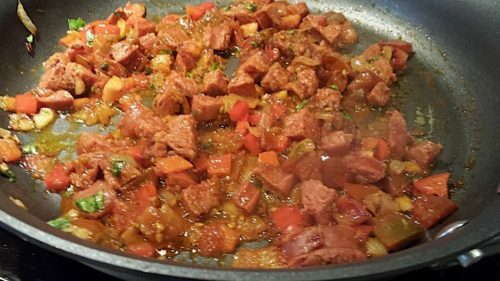 The chorizo sausage is diced and sauteed in olive oil with some chopped onion and tomato. Chopped cilantro is stirred in. Beaten eggs are added and stirred until they are set. A Mexican cheese blend is melted into the mixture. Additional chopped cilantro is added. The finished mixture is spooned onto warmed tortillas. The tortillas are folded over and served. A dollop of sour cream and some salsa are traditional accompaniments. Sometimes, like Anita, I will use diced potatoes in my chorizo breakfast burritos. I don’t have Anita’s secret red or green chile sauce recipes either. Maybe someday Anita’s will publish a cookbook! 2. Wrap the tortillas in foil and set aside. 3. Warm the olive oil over low heat in a non-stick skillet. 4. Saute the onion until it’s slightly caramelized. 5. Add the diced chorizo and cook until the chorizo is slightly browned. 6. Add the diced tomato and cook until the tomato’s juices have evaporated. 7. Stir in half of the chopped cilantro and cook for a few minutes. 8. Put the foil-wrapped tortillas in the oven. 9. 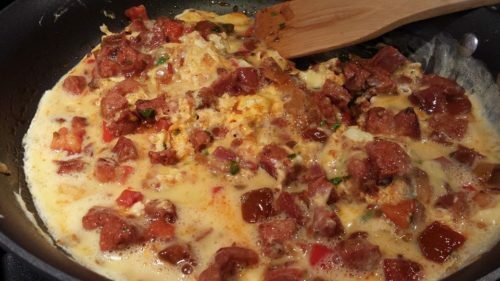 Whisk the eggs in a bowl and pour them into the chorizo mixture in the pan. 10. With a spatula, move the eggs around in the chorizo mixture until the eggs have set. 11. Stir in the shredded cheese and let it melt. 12. Stir in the rest of the chopped cilantro and remove the skillet from the heat. 13. Remove the tortillas from the oven. Open the foil and place each tortilla on a serving plate. 14. Divide the chorizo egg mixture between the tortillas. 15. Fold the back side of each tortilla halfway over the chorizo egg mixture. 16. Wrap up the two sides of each tortilla over the folded back side to make burritos with one side open to display the filling. 17. Serve the burritos with a dollop of sour cream and some salsa on the side. Garnish with some cilantro leaves. Makes two breakfast burritos. Offer with a side of refried beans and some home fries for a heartier breakfast. Variations: You could substitute fresh ground chorizo for the pre-cooked links. Just cook the fresh chorizo until it’s browned. Add chopped fresh jalapenos for a kick. Use Mexican Crema instead of sour cream. Leave out the cilantro if you are not a fan. 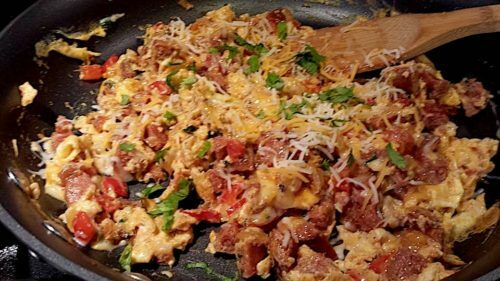 You could serve the chorizo egg mixture with a warmed folded tortilla on the side like an “egg scramble” dish. 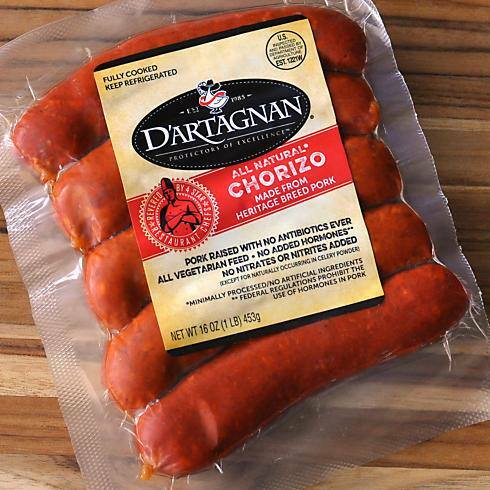 Order some chorizo sausages at D’Artagnan.